역사드라마에서 흥미로운 영역 중의 하나는 작가가 역사적 상상력을 활용하는 방식으로 어떻게 역사적 사실로부터 특정 사건들을 선택하고 재배열하며, 개연적이거나 허구적인 사건들을 만들어내는가에 있다. 이것은 역사드라마의 역사의 소환과 재현방식에 관한 것이다. 이 논문의 목적은 역사드라마 〈미스터 션샤인〉이 역사를 소환하는 전략을 분석하는데 있다. 〈미스터 션샤인〉은 세 가지 방식으로 역사를 소환해서 재현했다. 역사의 전경화(前景化) 전략은 증거로서 역사를 재현하고 특정 장소를 의미화하는 것이다. 〈미스터 션샤인〉는 신미양요나 정미년 남대문 전투 등을 당시의 증언, 사진, 역사기록을 바탕으로 사실적으로 묘사함으로써 역사성을 높이면서 시청자로 하여금 실제 역사 속으로 몰입시킨다. 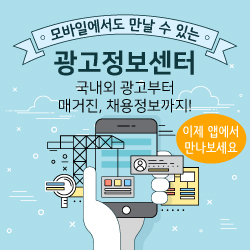 역사의 중경화(中景化) 전략은 역사기표들 중에서 선택가능한 것을 선별해서 드라마의 외적 개연성과 내적 개연성(허구적 상상력)을 높이는 것이다. 고종의 예치증서, 밀지, 제국익문사 등의 역사기표들은 허구적 인물, 실존인물, 개연적 인물들과 결합되어 서사의 중심을 이끌어간다. 역사의 배경화(背景化) 전략은 역사 시간과 공간을 압축하면서 재배열하는 것이다. 〈미스터 션샤인〉은 1902년~1907년까지를 다루고 있지만, 1870년대부터 1930년대에 나타나는 풍물, 유행, 문화 등을 압축해서 보여준다. 이것은 서사에 직접 개입하기보다는 서사 뒤에서 이야기를 보완해주는 기능을 수행한다. 〈미스터 션샤인〉은 세 가지 전략을 바탕으로 낭만적 사랑의 좌절을 세 가지 층위(동지적 사랑, 절대적 사랑, 배려적 사랑)에서 그려냈다. 이것들이 시청자를 역사 안으로 끌어들이는 역사효과를 만들어냈다고 평가할 수 있다. It is one of quite interesting points to explore the ways in which a historical drama author selects and composes specific events from historical facts, and makes up fictive stories. This means that calling and representation of historical facts is an essential factor in the analysis of historical drama. In this context, this study investigates imaginative strategies on the historical drama, 〈Mr. Sunshine〉(2018, tvN). 〈Mr. Sunshine〉 uses the strategy of ‘history foreground’, which represents historical evidences and signifies the specific place. ‘Shinmeeyanggye’(Invasion of Korea by the three U.S. warships in 1871) is vividly portrayed, based on historical records, photographies and testimony. The strategy of historical background contributes the audience to enter into imaginative history. Secondly, the strategy of history middle-ground is to fill the gap between external probability(historical facts) and internal probability(story telling), inviting Kojong(a king of Chosun Dynasty)’s depository receipt, secret orders and the secret organization. Thirdly, the strategy of history background is to rearrange and compress historical time and space. Though 〈Mr. Sunshine〉 depicts historical facts from 1902 to 1904, it shows fashion, culture, scenery and customs from 1870s to 1930s.